The staff; front office, maid service, etc. was excellent. The self-service parking was a problem. The elevators, one on each side were in very bad condition. The doors on one elevator kept on starting to open and close, and then the elevator would not work until after repeated attempts to get it started. The front desk was notified, later a maintenance man said the elevator service man was on the premises, but the elevator still operated poorly after that, so I tried the elevator on the other side of the building. The other elevator was loud and the floor display light said "OK" constantly. Also, both elevators were usually dirty. The hotel is in a good location but the rooms are very tired and shabby, the carpet and curtains in the room had stains all over them. Patches of wallpaper missing and a great view of the air condition system from our window which was huge. For £75 a night expected a bit better. Wouldn't stay here again. 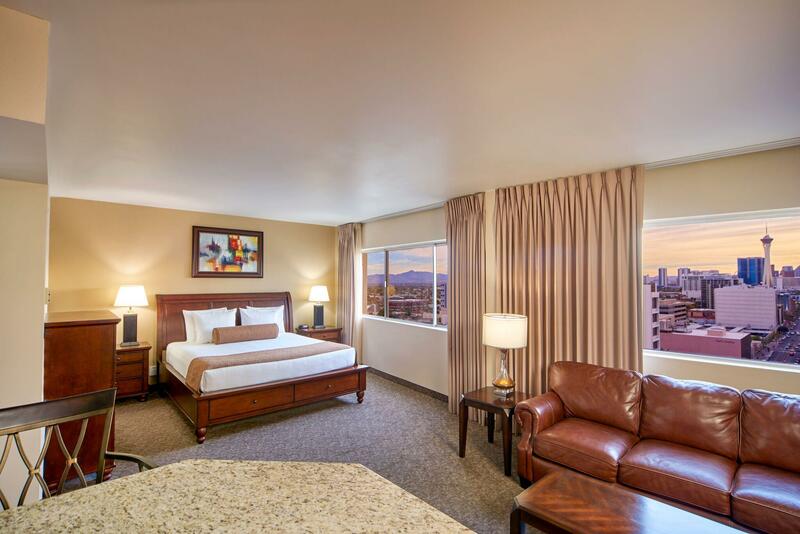 This hotel, in the heart of downtown Las Vegas , has everything for the visitor seeking a terrific Vegas experience. The staff was very pleasant and professional. The rooms, although a bit old and tired looking were comfortable and clean. Be aware that the South tower faces a courtyard full of noisy activity that continues into the early morning. The hotel provides earplugs which do little to silence the noise. Of paticuliar note is a street performer whose “talent” is drumming on empty plastic buckets. Talented yes but terribly annoying at one am. The casino offered a wide range of gambling options. The restaurants were terrific. Fantastic food at reasonable prices. Mike Hammers comedy act is not to be missed. 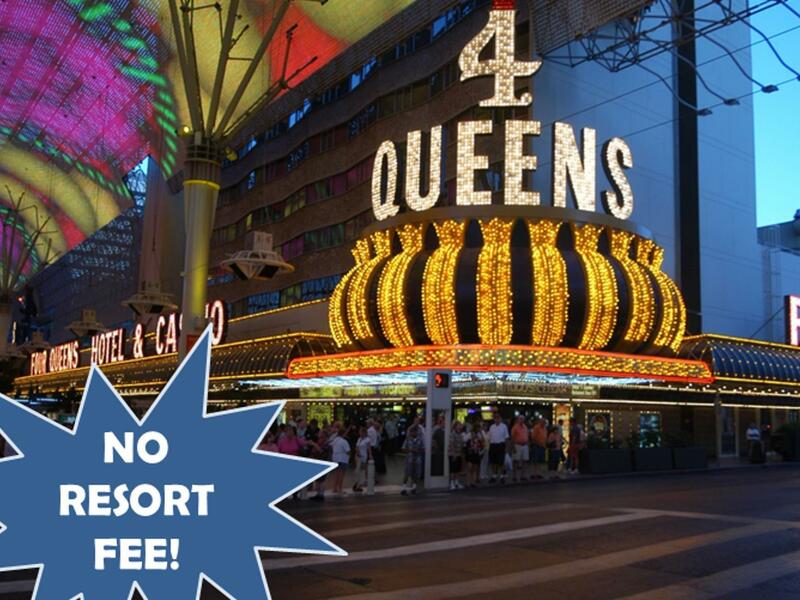 If you are looking for an alternative to the Strip consider this hotel first! We were put in the north tower in a smoking room. Weed rolled in to our room the 4 days we were there. Dirty towel. Hair in bathroom on floor. RIGHT above Fremont concert stage area. Tiny king room. 1620. Sucked!!! Best value. Best location. Clean. Great food. To stay four queens hotel was good. Good location and reasonable prise. No resort fee and resonable parking fee. Only missing is that room condition was not perfet with strong cigarette smoke. Generally I am content with this hotel. It was a nice hotel but could be upgraded a bit. It's a big, clean, classy old hotel and I'm using the word old in a good sense. It's like stepping back to an older Vegas. I'm 100% planning to come back to the Four Queens Hotel on my next trip to Vegas. We travel with handicapped folks so the proximity to lots of different casinos and entertainment is amazing. On the other hand, the proximity to the noise of the street below can be a bummer as well. We stayed Saturday thru Monday nights and Saturday was the only night they played until 1am. Sunday and Monday evenings it was quiet after 10pm. We love that there is no resort fee but aren't sure how long that will stay is anybody's guess. The room we were in was updated but the sheets were worn. They changed them every day so it wasn't a big deal at all. We have stayed several times and would stay again. staff was great but the old lady with the blonde hair at cashier was snobbish and had an attitude when I ask her for all ones at the casino!! Hotel was clean! the guest staying at the hotel were friendly! casino slots were loose! food was great and staff was great accept that old lady at the cashier! were nasty to me and my husband! but overall great! the music at the Fremont were loud we can hear in our rooms at night but we loved it!! We have been to las Vegas for so many times since 1991 miss counting lol...But ever since we stayed in Fremont street experience for a few time then we love to stay there whenever we go to las Vegas again...It has a few nice hotels and casinos right by there in Fremont street and its very convenient for all the entertainments... Fremont street experience has so much things to see also has all kinds of great entertainments It is a fun place to be...I definitely would recommend any one to go staying in Fremont street experience when you go to Vegas. We have been in Vegas for many times and stayed in Fremont street experience a few times and very enjoyed all the entertainments and had great times and want to stay in Fremont street experience every time we come back to Vegas. Hubby and I as well couple friends decided to come back to Vegas to celebrate our anniversary and to have fun. Everything was pretty decent at our check-in. Only issue we had was the first evening we gave cleaner a $3 tip and it was immaculate, even extra towels. Next morning I lost and only had $100 bill which I wouldn’t ever top a cleaner, and thought it’s be no issue to pay more day after or even when we check out. Seems of pissed her off so she left the toilets uncleaned, our sinks weren’t wiped down, the blankets still unfolded the way we left and the water jugs left on the side. After that we told housekeeping and they had the nerve to bring the lady who tried to BARGE IN OUR DOOR WHILE I WAS NAKED CHANGING! My husband tried to block. We never received any cleaning after that one time. Everything else is central, and has no other issues, just the crazy Spanish cleaner! Would only recommend this hotel because they don’t charge resort fees but nothing really special about Four Queens. Staff are not actually that friendly. Location wise it’s good but request for a Quiet room on the North Tower because it can get really noisy at night. When we checked in, they gave us a room that was messy (because of the construction they did in that room!) Immediately we requested to change our room which they did right away but staff are not apologetic at all! For the same price, look for a better hotel/accommodation if you can. Staying with Four Queens hotel and Casino. Everything was so convenient. The hotel location and price for your money was great. No resort fee but it is $100 fee upon arrival. Yet you get it back upon checkout. I'm in this hotel now. Two days ago, before a canyon tour, i stayed here. They gave us a room on the floor under construction, so i have to change the room. I knew the noise of Fremont Street. You have to take into consideration the noise by dawn. I checked in after the tour, but this time I requested a non-smoking room, but the smell of cigarettes is too strong. Also when I opened the door, a light was on in front of the door. When I contacted the front desk for a room change, they told "I don't know. But it a non-smoking room" and they brought a spray of incense. As a result, I recommend you never to stay at this hotel. 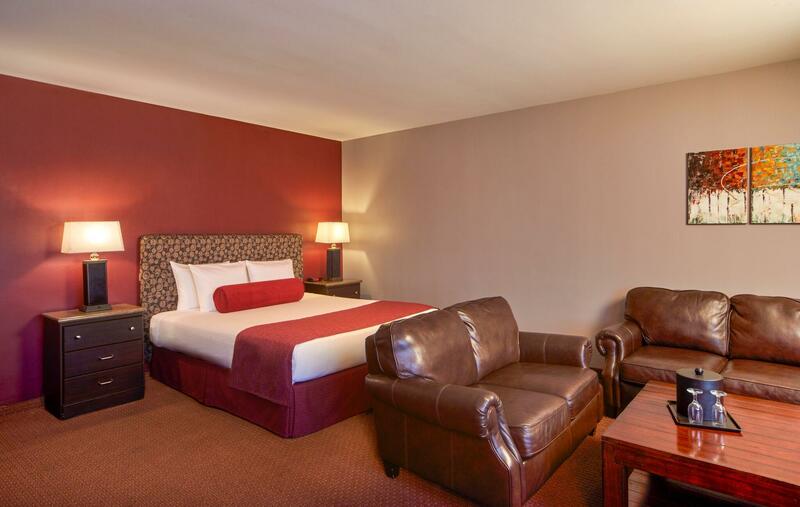 สถานีขนส่ง Las Vegas Greyhound - ระยะ 0.3 กม.